The Scoop: LatinEuro is an international dating site where singles in Europe and Latin America can find one another without any hassle. The platform gives people access to exciting dating opportunities they can’t always find in real life, thus empowering members to pursue date prospects who are younger, wealthier, or more desirable than they are. Some dating sites have endeavored to turn love into a formula. These data-driven companies calculate relationship compatibility based on personality quizzes, profile word choice, online browsing, and many other factors. They hire experts to decipher what singles want and then task developers with coding a dating process that propels likely matches toward one another. The result is a streamlined system where singles barely have to make a decision at all. They simply dive in and get swept along with the current. However, one dating site called LatinEuro aims to go against the tide of technology and take a stand for the unlikely matches of the world. This longstanding dating site has stuck to what’s worked for the last 30 years and kept intrusive and restrictive algorithms out of the way of romance. Instead of recommending profiles to its members, LatinEuro empowers individuals to use the search tools to discover profiles that fit their parameters. Once they’ve zeroed in on the most desirable people the site has to offer, they can upgrade their accounts to send messages to that person. Unlike its competitors, LatinEuro doesn’t use algorithms to meddle in its members’ affairs. LatinEuro supports a single person’s right to approach anyone he or she likes and say hello. Even if they may not seem compatible on paper. Even if they’re not the same age. Even if they live thousands of miles apart. Bob maintained that all singles deserve the chance to try to make something happen and be rejected by a real person, not an algorithm. Bob has spent decades studying the dating scene and watching technology change the way people hunt for a date. Throughout the years, his niche dating platform has stayed competitive with the big-name monopolies by offering a liberating online dating environment where singles are in charge of deciding who they want. Today, LatinEuro is a free dating site with a global membership and big plans for the future. 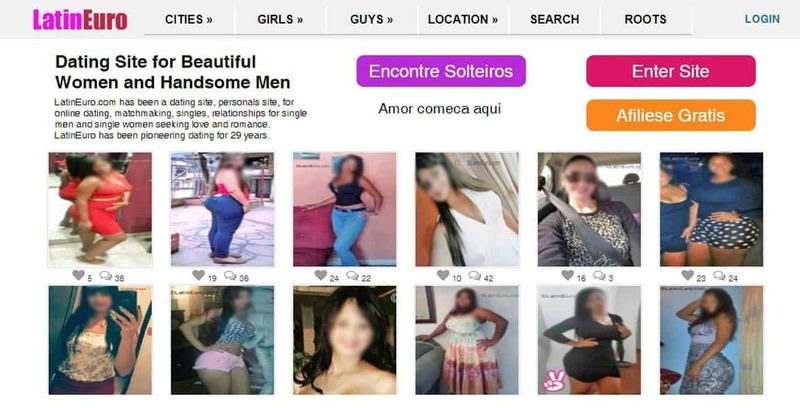 Singles throughout Latin America and Europe have mingled on the site and established long-distance relationships thanks to the site’s open messaging system. LatinEuro doesn’t use discriminatory match algorithms that tell users who they can message and who they’ll like. It doesn’t block incoming messages based on age, location, or other match parameters. The platform supports a nonjudgmental dating environment where romance can blossom in unlikely places. This global dating network gives singles access to thousands of attractive and interesting singles in Latin American and European countries. Every day, thousands of singles enjoy LatinEuro’s online dating free-for-all. Bob identified the plethora of choices in the online dating world as an exciting and potentially challenging proposition for modern singles. LatinEuro furthers that endeavor by giving its members free rein on the site. No barriers between people. No mutual matching system. Just people talking to one another and seeing where things go. A LatinEuro member can send a message to anyone he or she fancies, even if they’re way outside his or her league. Hey, it doesn’t hurt to try, right? LatinEuro encourages its members to shoot for the stars and never settle for less than ideal in the dating scene. All LatinEuro members can upgrade and send messages to anyone — even if that person is decades younger than they are or lives in another country. Since its launch in 1989, LatinEuro has received countless success stories from couples who met and fell in love on the site. Many of these couples overcame cultural differences and vast distances to be together, and many say they never would have met without LatinEuro. That is the dating site’s legacy in the world. LatinEuro has facilitated friendships and relationships around the world. LatinEuro has successfully removed the boundaries between potential lovers around the world, and that has led to more opportunities to spark a connection. One of LatinEuro’s couples even appeared on the TLC reality show “90-Day Fiancé.” The show drew the curtain back and showed what it takes to make a cross-cultural relationship work. Its upbeat narrative combated the stigma against international and age-gap dating. Not all LatinEuro members want to be reality stars, however. Many of LatinEuro’s couples prefer to keep their private affairs private, and they balk at telling their love stories to strangers. Bob said he respects their privacy and doesn’t press for a detailed testimonial. That’s why the success stories published on LatinEuro only scratch the surface of what that dating site has accomplished over the last 30 years. Online dating has changed the way we date from start to finish, and not all those changes have been good. 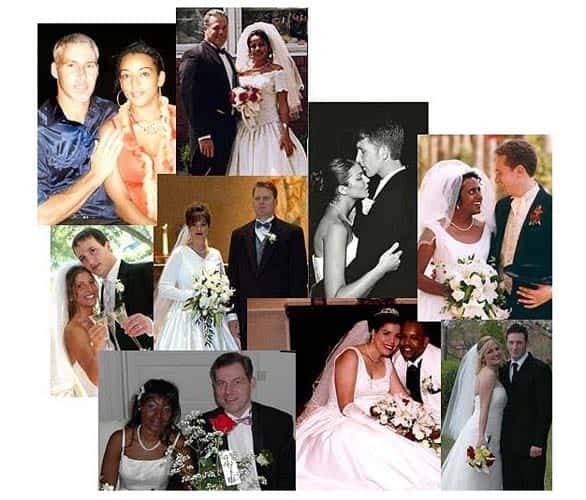 Some meddlesome algorithms have attempted to play matchmaker by segregating, categorizing, and judging singles based on their dating profiles. LatinEuro doesn’t hold to that and has promised its users not to stand between them and an attractive date. Bob is a staunch advocate of “dating outside your lane,” as he called it. Singles need not stick to their own age group or country when seeking a date. They can log onto LatinEuro to expand their horizons and encounter highly desirable date prospects. No one is out of reach on this site, and everyone is looking for an extraordinary love story.